Jackdaw Cottage is a three bedroom, Victorian terraced house, located in the village of Constantine, which is mentioned in the Domesday book and is close to Helford Passage. The cottage has been styllishly renovated and is withing easy walking distance of 2 village pubs, a butchers, post office and other shops. The Helford River with water sports and fishing, and a seal sanctuary are nearby and there are several sandy beaches within 5 miles. 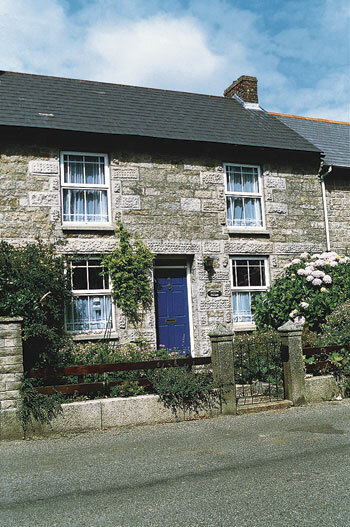 Falmouth, Helston, golf, several sub tropical gardens and Stithians Lake are within 6 miles. Truro is a 20 minute drive. The village of Constantine is situated on the lovely Helford River, just north of Helford Passage and west of Falmouth, which is the nearest big town. Facilities and amenities in the village include a pub (Queens Arms), village shop, post office, extensive quality off-licence, doctor and dentist, 13th century parish church, hairdresser, taxi service and local bus service. 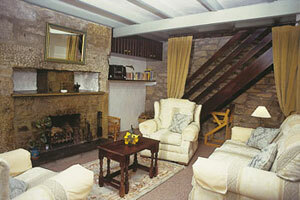 Alternatively, guests could try the Trengilly Wartha Inn, which is a 15 minute walk away along a footpath. The pub was awarded "Pub of the Year" in 1998 and 1999, with real ales and an excellent restaurant, serving bar food. Overlooked by a golf Course, Helford Passage is one of the Helford River's many popular anchorages for small craft. Its sand and shingle beach faces due south across the estuary to a rolling landscape of fields and woodlands. The passenger ferry to Helford has operated since the Middle Ages, and provides walkers on the coastal path with an alternative to the 8 mile detour through Gweek. There is virtually no parking in the village, but cars may be left in the lane, about a 10 minute walk from the shore. Sailing boats, rowing boats and motor boats can be hired. Three bedrooms. Very comfortable sitting room with log fire. Well equipped kitchen with dining area and TV. First floor: Double bedroom. Twin bedded room with additional pull out bed (for + child). Single bedroom. Bathroom/W.C. (shower over bath).